Sammy W & Alex E are young guys who have been gaining constant momentum since joining forces in 2010. In mid 2013 they released 'Swag' on Sharem Jays' esteemed Bunny Tiger imprint. They followed up this dance floor bomb with 'Play Ur Chick' on Kolombos' Loulou Records which hit the Top 10. 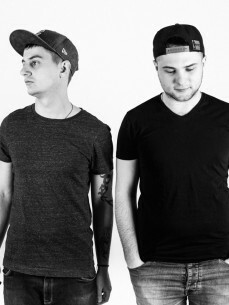 2014 began with a strong focus on their label Tobus Limited. With both vinyl and digital releases from Kolombo, Tapesh, Vintage Culture, Kant and many more this label is certainly one to watch for future hits. Soon Sammy W & Alex E will release 'Feel It' on Nora En Pures' Enormous Tunes label - an aptly named label for what will clearly be a big tune for the summer.